The Grey Towers Heritage Association welcomes volunteers to assist, in partnership with the U.S. Forest Service, in continuing the legacy of the Pinchot family and their unique and beautiful home. To become involved email info@GreyTowers.org or call 570-296-9630. Or, fill out the volunteer form below and we will contact you. Assistance is needed for all aspects of the race; planning, registration, monitoring the route, working the start/finish line, set up, food service, meet & greet participants. Assist with all aspects of visitor services – from greeting visitors, distributing information, providing directions to parking cars. Perfect for a one day group assignment or individual throughout the season. Assist with the set up, meet & greet the public, provide information & directions, assist with parking, etc. 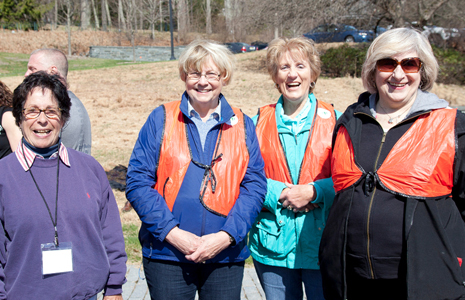 Volunteers are trained to give interpretive tours to the general public. Focus is on conservation history and Pennsylvania government and the critical role that Grey Towers played in both. skills include working the cash register, making sales, inventory and interacting with the public. Staff educational exhibits at community fairs and festivals. Also help deliver conservation program to youth at Grey towers or nearby schools and camps. Cutting and removing fallen trees to clear the trail corridor. Maintaining and constructing structures such as rock walls, steps, or bridges, clearing overgrown vegetation on the trail, maintaining and improving the trail tread, and maintaining of existing or installation of new interpretative signage. 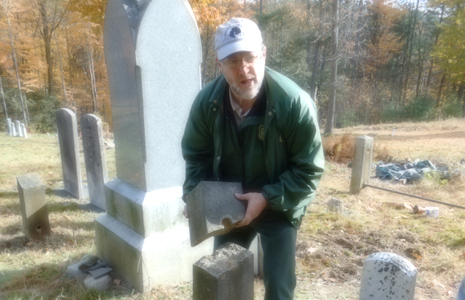 Maintenance of the landscape of the cemetery includes weedwacking inside fenced burial plots, mowing along paths and removal of invasive plans, shrubs, and bush. 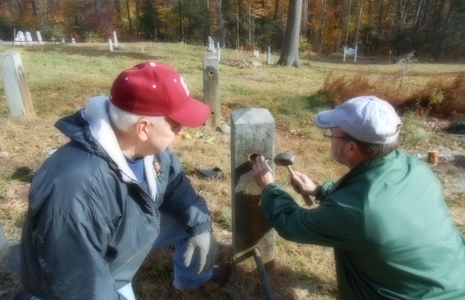 Teams also work to stabilize headstone and reset footstones. There is a research opportunity to help record the history of some of the individuals. Assist with the annual cemetery tour (end of October). Assist the Horticulturist and landscape staff in the management and maintenance of the historic landscape and gardens. Catalog and inventory historic photos, documents, books and objects; conduct research, create exhibits and perform minor artifact conservation work. Would you be available for a regular schedule? Please share. May we call you when we need assistance? What skills could you share?